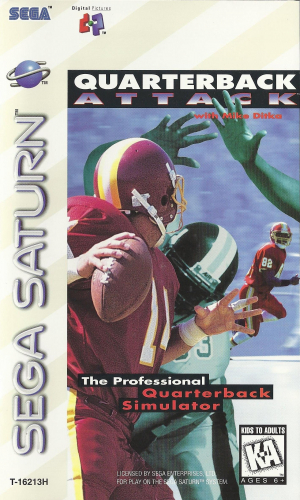 Quarterback Attack is the First Professional Quarterback Simulator: It Puts You in the Helmet of a Real Quarterback! You Don't Just Control Him, You are the Quarterback! In a Stadium Full of Screaming Fans, You're in Control - Calling the Plays, Dodging the Defense, Throwing the Passes. Screw Up and You Have to Answer to the Coach: Iron Mike Ditka.